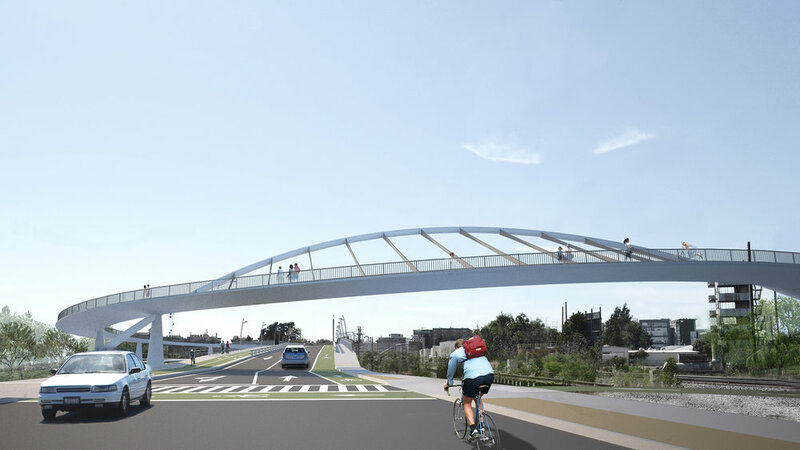 The Oakland Lake Merritt to Bay Trail Bridge will close an important gap in the trail systems between two of Oakland’s most important recreational areas. The trails along Lake Merritt Channel are cut off from reaching the Oakland Estuary by the Embarcadero Roadway and the Union Pacific Railway. 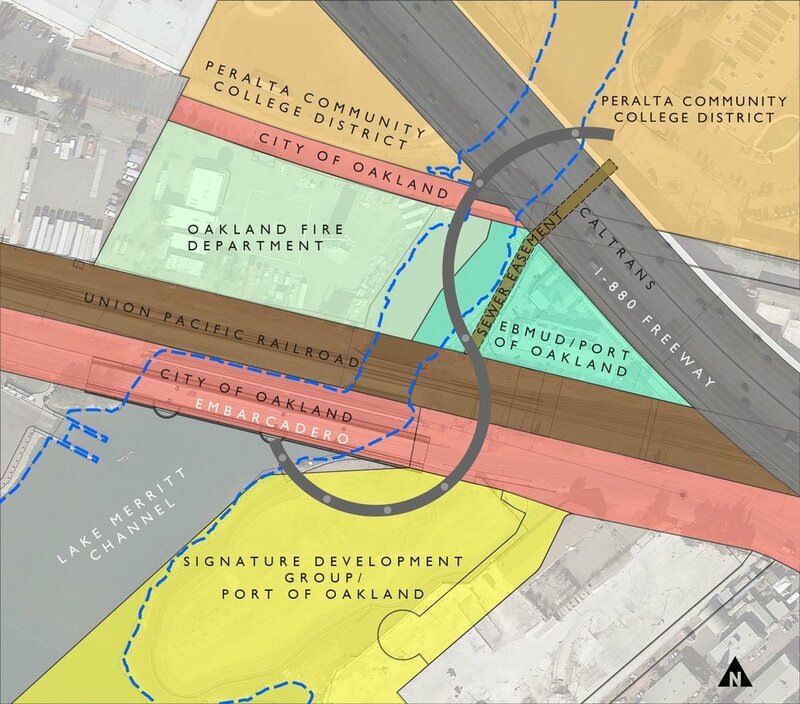 The project site features a rich juxtaposition of the estuary waterway and wetlands, the Laney College campus, a palimpsest of channel filling and reopening, historic shipbuilding and industry, sculpture gardens and protective artist communities, as well as major new development projects involving thousands of new residents and new waterfront parklands. Resulting from a study of 43 alignment alternatives, the preferred option is a graceful S-curve which provides a surprisingly simple solution to the conundrum of where to terminate the south end of the bridge. 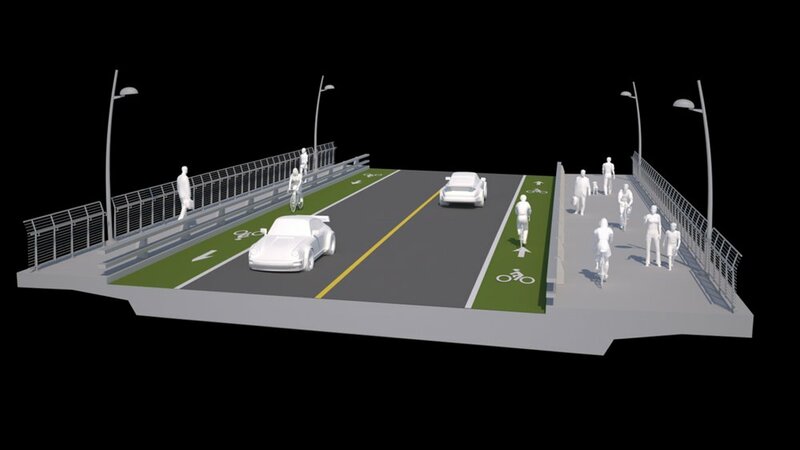 By landing at the belvedere of another bridge, uses on both east and west sides could be equally well served, and the length of the south approach is nearly 50% shorter than runner-up alignment designs. The S-shaped bridge curves under the I-880 freeway, over the channel, and spans over the roadway and railway. 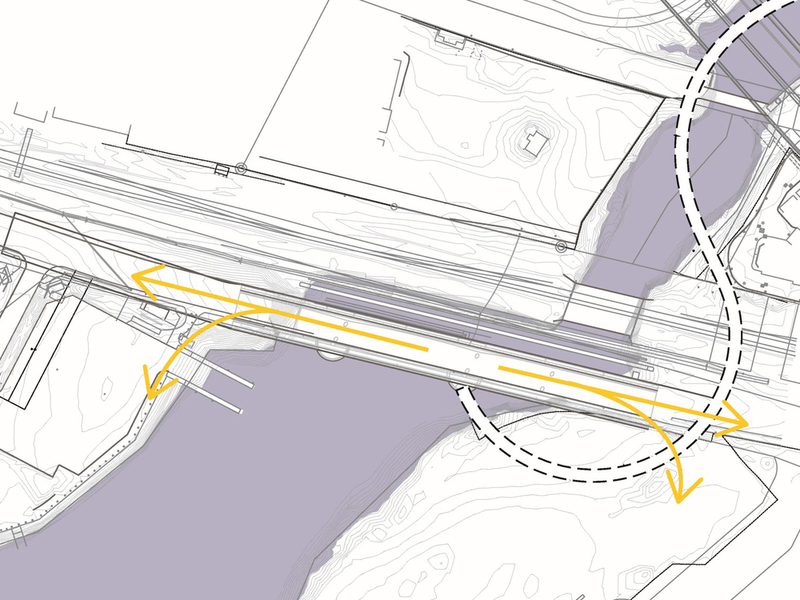 The long curving shape of the bridge is required to meet ADA pathway slope requirements. 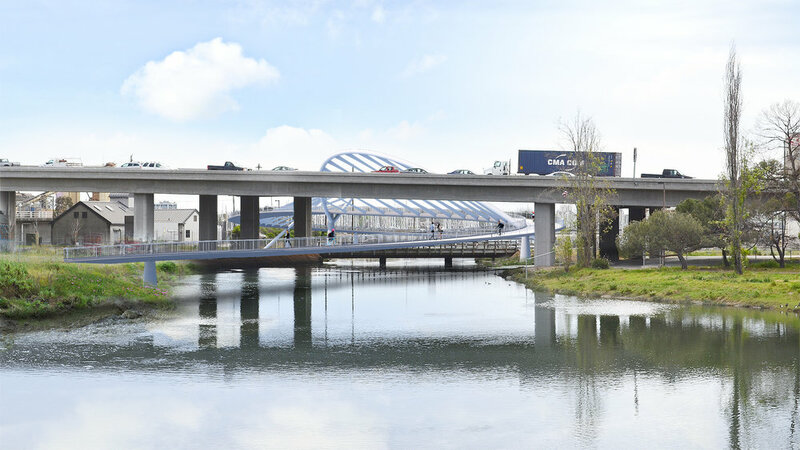 The curves also present bridge users with a constantly changing viewing “tour” of the Oakland Estuary skyline, while multiple water crossings give users opportunities to look over the water from varying vantage points. The preferred bridge design is an inclined S, relating to the S of the traveled way formed by two arches: over the roadway and railway the structure is an inclined upward arch, while over the waterway it is a downward inclined arch.